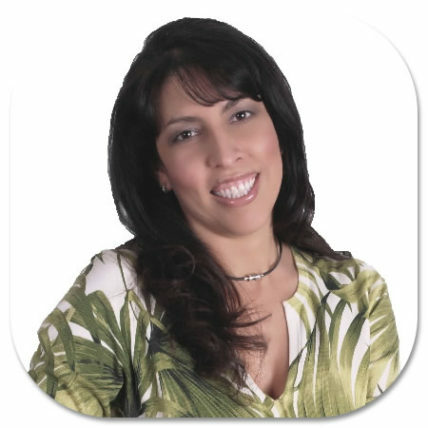 Besides her role as Principal and President of Multiple Funding Solutions, Inc., Flor is the CFO/Treasurer for Cash Flow Exclusive, LLC, the company that publishes the cash flow industry website CashFlowExclusive.com. In addition to her responsibilities, Flor is also one of the founders and instructors at the MicroFactoring Academy, where interested investors are trained in factoring small receivables and where they learn how to operate their own micro-factoring business. In the past, Flor has served as President of the American Cash Flow Association’s Chapter of the Palm Beaches, and – after having been inducted into the American Cash Flow Association’s Million Dollar Club in 2003 – she has received the Association’s prestigious President’s Award for outstanding industry contribution and representation in May 2006. Since 2004, she is also a member of the International Factoring Association (IFA). Flor is a Certified Cash Flow Consultant and has gained extensive experience with business financing – and Factoring in particular – through one of her previous management engagements with a British furniture and design company in Europe. She is a member of the local Chamber of Commerce and the Hispanic Chamber of Commerce, as well as of several business and trade organizations. For valuable contributions to their business development programs, Flor has received the “You Make The Difference” award from the Business Loan Fund of the Palm Beaches and was voted “Woman of the Year” by the USA Army, from whom she had also received the “Circle of Winners” award for outstanding performance and contributions to the community. She had also served on the Board of Directors of another company she worked with, and she is constantly on the lookout for new and different opportunities to help small businesses succeed. In February 2013, Flor had the honor of representing the American Factoring Association (AFA) on Capitol Hill and performed advocacy work on behalf of the Association. With many years of international marketing and sales experience, her fluency in Spanish, German & French, and a focus on new business development, account / project management, and customer service, Flor has worked with and consulted for some of the world’s leading companies in the automobile and soft drink industry. She has also been instrumental to the business expansion of numerous small and midsize companies in the USA, France, and the UK, and has helped them launch, promote, and sell their products worldwide. As a true citizen of the world, Flor has also lived in Central America as well as in three European countries. During her international career, she has had speaking engagements for the US Army, the ROTARY Club, and other international organizations and companies, and led various Human Resources training programs on cross-cultural management, employee relations, personnel development, and recruitment. Flor has a degree in Business Administration with concentration in Human Resources and Project Management from a leading business school in Europe with further accreditation from the Florida International University. Since 1983, she has been married to Ralf, and after having moved from Frankfurt to Paris to London to Fairfield, CT, she and Ralf have now settled down in a small hamlet close to Palm Beach, FL, from where they operate Multiple Funding Solutions, Inc., Cash Flow Exclusive, LLC, and The Micro-Factor Academy. Besides his role as Principal and CEO of Multiple Funding Solutions, Inc., Ralf is the co-founder, President, and CEO of Cash Flow Exclusive, LLC, the company that publishes the cash flow industry website CashFlowExclusive.com. He is also one of the founders and instructors of The MicroFactoring Academy, where interested investors are trained in factoring small receivables and where they learn how to operate their own micro-factoring business. In the past, Ralf had also served as President of the American Cash Flow Association’s national Internet-Chapter, and as Vice-President of the Association’s local Chapter of the Palm Beaches in Florida. Since 2004, he is also a member of the International Factoring Association (IFA). He also had a seat on the Board of Directors of another company in a non-related industry. He teaches classes on “Alternative Business Financing” and up until recently has been a volunteer marketing instructor for the Florida Women’s Business Center. After having been inducted into the American Cash Flow Association’s exclusive Million Dollar Club in 2003, Ralf has also received the Association’s prestigious President’s Award in 2006 for outstanding industry contribution and representation. He was also appointed as one of the Association’s Master Consultants for Factoring, Purchase Order Funding, and Marketing. Ralf is a three times recipient of the “You Make The Difference” award from the Business Loan Fund of the Palm Beaches for valuable contributions to their small business development programs. 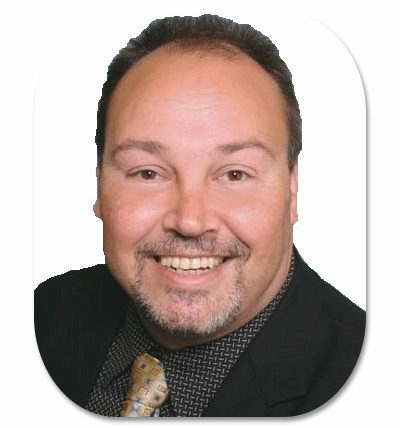 Having lived and worked in many countries around the world for most of his professional life in international business since 1983, Ralf‘s expertise includes a broad portfolio of Business and Marketing solutions typically required for managing a multi-national Fortune 500 company. Special areas of his expertise include strategic Marketing and Brand Management, Sales, and Communication and Advertising development. He held various executive positions such as International Director, Senior Vice President, and Executive Vice President for some of the world’s leading global marketing research and consulting organizations. As a member of the European management team, he was part of one of the Fortune 100 Company’s core business divisions in the consumer goods industry with international responsibility for Marketing Research, New Market Development, and Relationship Marketing. He is the published author of the book “Marketing Magic – The Bigger Bang for the Smaller Budget“, has published various articles on sales volume forecasting and general research practices, participated in a book on Marketing for Small Factors (published in 2004), and has written a series of Factoring book reviews. He was also a frequent writer and columnist for the American Cash Flow Journal and a popular speaker at the Association’s annual conference. He has had keynote speaker, presentation, and teaching / training engagements at various Fortune 500 consumer goods industry conferences in USA, Europe, and Asia, as well as for the American Marketing Association (AMA), the S.C.O.R.E. group, and a non-profit business development and financing organization in Florida. With most of his education being completed in Europe, Ralf holds a Business and Administration degree with a concentration in Marketing. He was first introduced to Factoring in 1996 during his professional life in the UK.